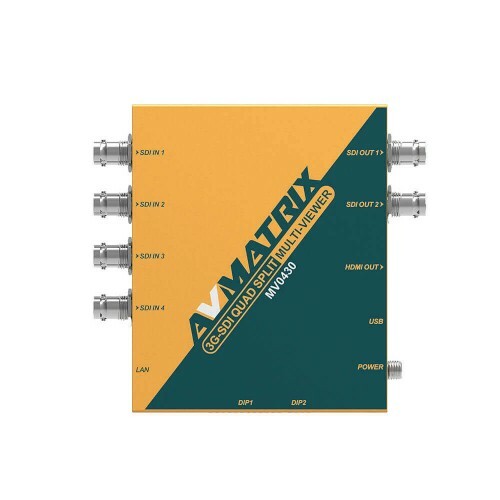 The MV0430 is a multiviewer box for SDI inputs. 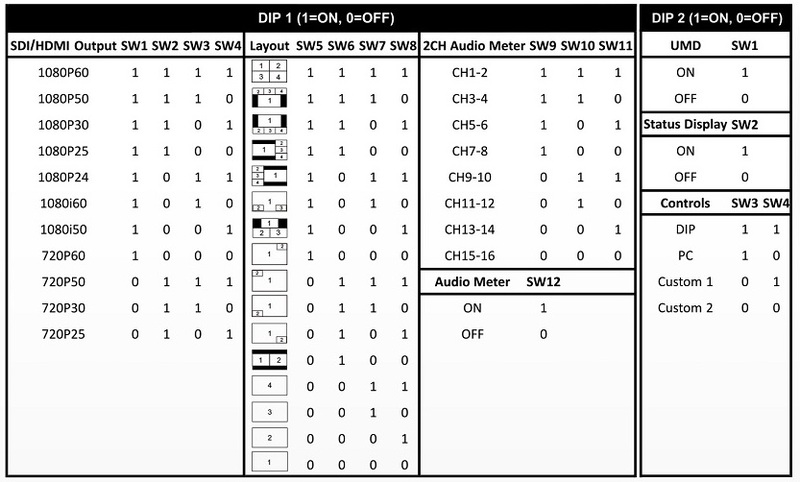 You can input 4 separate SDI inputs to the box, and - using either DIP switch settings or with the provided software - you can place the images in many different positions on the screen. Presets are available for the most common settings - such as full screen, quad split, triple window, and PiP / PoP modes. The unit has 11 DIP Switches across the side that can be used to manually adjust how the input feeds are displayed on which of the output channels. For instance, switches 1-4 control the resolution of the output, 5-8 control the specific layout of the output, and 9-12 control the display of the audio channel metering.